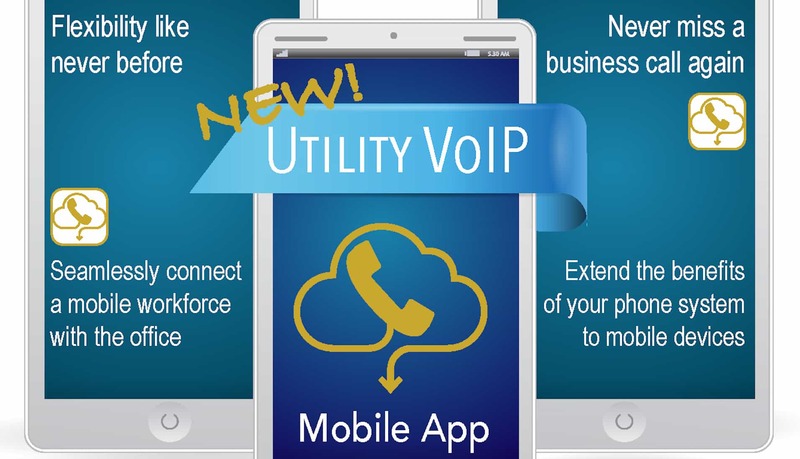 With the new Utility VoIP Mobile App you can now utilize virtually an unlimited combination of IP desk phones and seamlessly integrate call flow with your wireless technologies. Clients and work associates can easily reach busy employees anytime through one business number that will automatically ring their mobile app. Eliminating the necessity to track down employees on multiple numbers, Utility VoIP’s Mobile App improves and streamlines communications, and seamlessly connects a distributed and fast-moving workforce. Gain the latest communication tools for your staff to never miss a business opportunity. You want to ensure business and client calls are always routed to your business versus an individual’s mobile number who may or may not stay with you long-term. By having calls directed right to an employee’s smartphone without revealing any of their personal information, the business always stays at the forefront. Utility VoIP’s Mobile App also makes it easier and more flexible for “bring your own device” (BYOD) work environments. Add an additional layer of mobility management with Utility VoIP’s Virtual Attendant. Manage your business virtually to ensure that calls are routed correctly any time, anywhere. Having your business phone system seamlessly integrated with mobile devices allows you to manage how calls are routed during business hours as well as after hours. This can be particularly critical during inclement weather, for example, when no one is physically in the office to answer the phones. With Virtual Attendant, you won’t miss any business calls and can ensure a high quality experience for both customers and prospective customers. Ancero proudly introduces this new innovation that expands the functionality of our Utility VoIP system to include a mobile workforce. The mobile app works with both existing and new Utility VoIP phone systems. Now your communications investment can extend all the benefits and features of your phone system to your team’s mobile devices! Ready to transform your communications? Call 855.200.VOIP or CONTACT US to setup your free evaluation and receive a customized quote detailing the benefits of utilizing our innovative products and services.